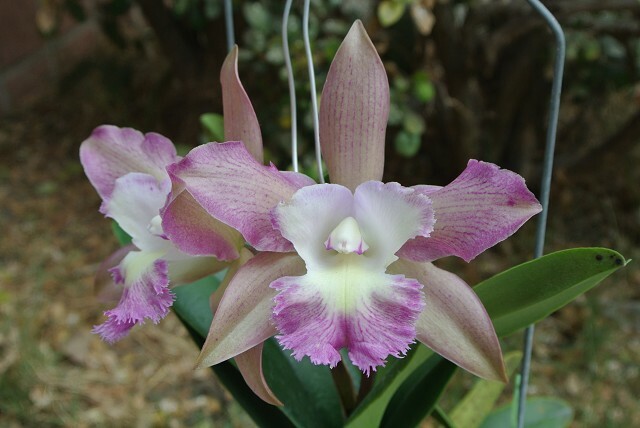 The cattleya had unusual color combination and i got it from a flower market with a good price. That is an unusual colour. Nice though. Just out of curiosity, what is a good price for a plant like that ? The shape of the lip is really nice. That is a keeper. I have ever visited Jianguo Flower Market, where you can find some nice orchids with good prices. Too bad I had limited space in my luggage! Unfortunately no name, bit digbyana seems to be one of the parents.